Graduate of the faculty of pedagogy and psychology of media communication at Warsaw University and the Leaders School of the Polish-American Freedom Foundation. Holder of the scholarship of the International Visitor Leadership Programme implemented by the State Department of the United States of America in liaison with the Embassy of the United States in Warsaw and the Polish-American Freedom Foundation. 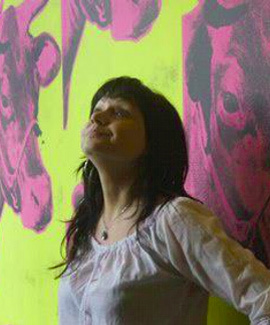 Experienced manager of culture, originator and coordinator of numerous exhibitions, cultural projects and nationwide educational and social actions. Promoter of cross-sector cooperation which she puts into practice, combining in her actions the potential of the public, private and social domain. Organizer of conferences and workshops on cooperation between cultural institutions, self-governments, nongovernmental organizations and business. 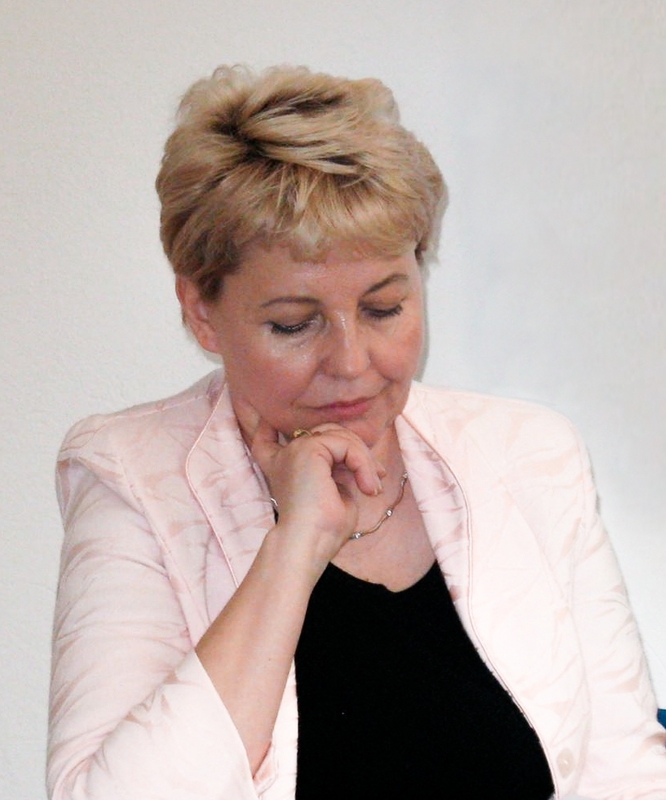 Her hitherto professional experience includes the implementation of projects carried out in cooperation with, among others, the Sejm and Senate of the Republic of Poland, the Chancellery of the President of the Republic of Poland, the Ministry of Culture and National Heritage, the Ministry of National Defence, the General Inspectorate of Armed Forces, numerous associations and foundations, museums and culture centres, self-governments and business partners, among others, Bank Zachodni WBK, Poczta Polska S.A.
She has long been working for the cause of promoting the historical and cultural heritage, combining a modern form of message, interesting for the recipient, with traditional elements of education. A long-term director of the Culture Centre in Milanówek where, together with the inhabitants, she developed a fully participatory strategy for the development of culture, one of the first of its kind in Poland. In the years 2014-2017, head of the Front of House Section in the Józef Piłsudski Museum. Architect, graphic designer, designer. He studied at the Faculty of Architecture and Urban Planning of the Warsaw Technical University. He cooperated with the leading designers’ group, Centrala, among others, on the awarded concept of the development of the grounds around the National Stadium in Warsaw, the awarded projects for the development of the concept of the architectural and urban revitalization of the main railway station in Wrocław, the distinguished project for the seat of Sinfonia Varsovia as well as the project for the urban development solutions for the Museum of Polish History above the Trasa Łazienkowska street in Warsaw. In the years 2009-2017, he worked in the Józef Piłsudski Muzeum, in the architectural team designing a modern museum-educational complex in Sulejówek as well as created graphic projects, multimedia and mobile exhibitions. Specialist in the area of mobile outdoor exhibitions. As a member of the Józef Piłsudski Museum in Sulejówek, he organized monumental exhibitions presented in large Polish towns, among others, in 2010 a mobile outdoor container exhibition, dozens of meters long, ‘Freedom. Borders. Power. Respect.’ on the 75th anniversary of Józef Piłsudski’s death, in the Belvedere Place in Warsaw and in the market square in Wrocław. Another of his achievements was the large-format outdoor exhibition ‘The War of Worlds’ on the 90th anniversary of the war between Poland and Bolshevik Russia, in Krakowskie Przedmieście street in Warsaw. He co-created temporary multimedia exhibitions ‘What ‘Milusin Remembers’ in the Milusin Manor and Gardens of Józef Piłsudski as well as a mobile outdoor exhibition under the social campaign ‘Everybody Matters’ in the market square in Kielce in 2014. He designed, in terms of graphics and construction , the outdoor exhibition ‘Józef Piłsudski. Roads to Independent Poland’. The exhibition inaugurated the minting of commemorative coins on the occasion of the one hundredth anniversary of the regaining of independence by Poland. It was shown in Olsztyn, Wrocław, Katowice, Szczecin, Lublin, Grodzisk Mazowiecki, Sulejówek, Bydgoszcz and Rzeszów. Archeologist, historian of culinary art, museum expert. 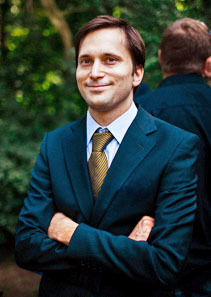 Graduate of Stefan Cardinal Wyszynski University in Warsaw and Warsaw University. Over the years of her work in the State Archeological Museum in Warsaw she gained extensive experience in both substantive and technical preparation of museum expositions, taking part in arranging them, first acting on behalf of the exhibition and popularization section, and next the inventory section. She was also involved in the preparation of exposition elements for the exhibitions: ‘Troy. The Dream of Heinrich Schliemann’, ‘Between Mycenae and the Baltic Sea’, ‘Mayan Fashion’. Within her professional duties she was responsible for the pilot project concerning the digitalization of the National Archeological Museum collections. Author of popular-science books ‘Przy słowiańskim stole’ (At the Slavic Table), ‘Wikingowie i Słowianie’ (Vikings and Slavs at the table), ‘Viking and Slavic cousine’ and numerous articles in daily, scientific and popular science press. She is currently preparing a PhD dissertation on the culinary culture in early Middle Ages. 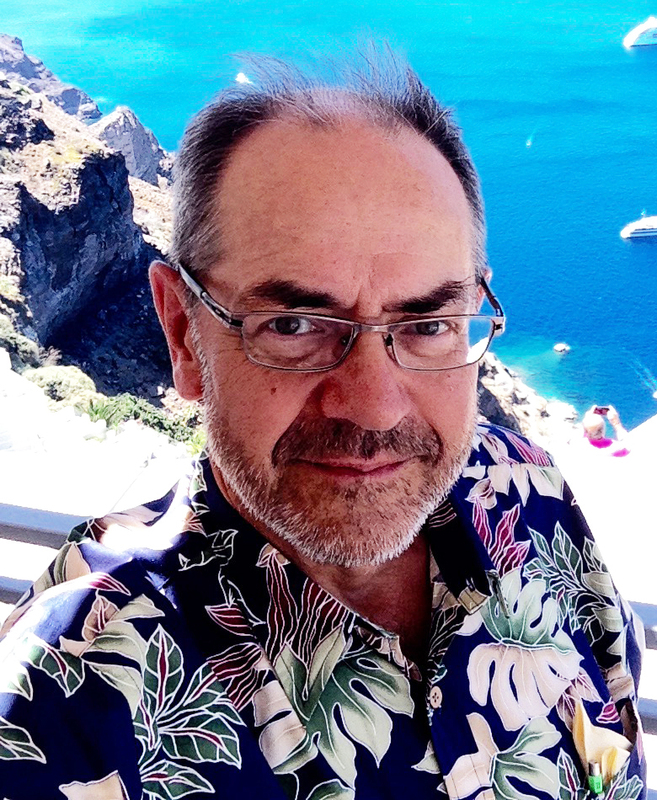 Owner of the Archeoconcept firm dealing with the organization of spectacles and historical reenactments, cultural promotions, arranging exhibitions and making historical and theatrical garments and accessories. She conducts annual shows of old crafts at dozens of outdoor events and reenactments in the country and abroad. 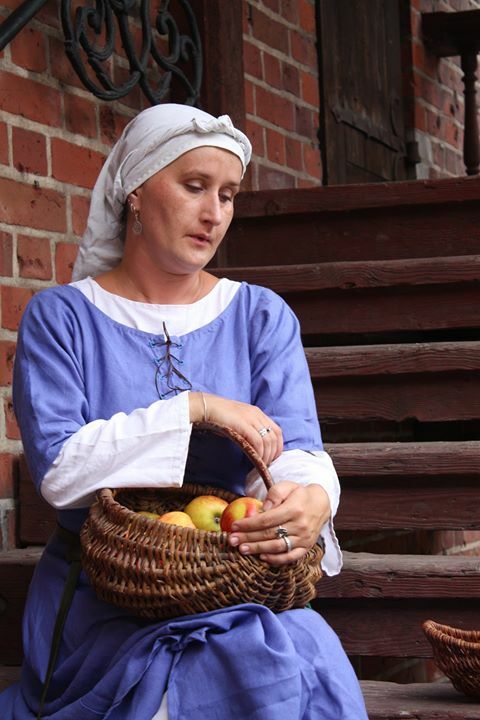 In arranging exhibitions and workshops she cooperates with numerous cultural institutions, among others, National Museum, Museum of the Polish Army, Józef Piłsudski Museum, Archeological and Historical Museum in Częstochowa, Museum of Agriculture in Szreniawa, Museum-Castle in Malbork, numerous culture centres and open-air museums, among others, under the ‘What a story’ cycle and ‘1812 When Hell Freezes Over’, now in preparation. Journalist, pedagogue, promoter of knowledge about Milanówek and the driving force behind numerous actions in the cultural, historical and publishing life of the town. For over 50 years, he worked for Polish Radio External Service in Finnish, Polish and Esperanto. 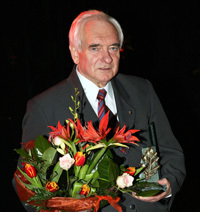 Laureate of journalistic awards, both national (1st award of the President of the Committee for Radio and Television for the promotion of Polish culture in the world) and foreign (Vienna, for promoting knowledge about Poland, Japan, Japanese peace award ONISABURO DEGUCHI for contribution to developing understanding between nations in Polish Radio broadcasts). On the occasion of the 80th anniversary of Polish Radio, the Board gave him the Badge of Honour of Polish Radio S.A. in recognition of achievements in journalistic work. His over 25 years of work in the blind community brought him the Badge of Honour of the Polish Society of the Blind. For years he cooperated with Polish puppet theatres. In 1986, he received the award of the International Festival of Puppet Plays in Zagreb for ‘lifetime achievements in the translation of Polish puppet plays into Esperanto and promotion of the puppet theatre’. He was conferred, among others, the Silver Cross of Merit and the Order of Merit. He specialized in teaching Finnish and Esperanto (member of the Esperanto Academy for over 30 years). He published approximately 50 books in Esperanto, among others, in China, Japan, the U.S.A. and several European countries. Born in Warsaw, an archivist-historian, she completed studies at the Institute of History, Warsaw University, in 1985. In the years 1986-2001, she worked in the Central Archives of Historical Records in Warsaw, completing at that time a three-month Stage Technique International des Archives internship in Paris, and in the years 1996-2001 PhD studies at the Institute of History of the Polish Academy of Science in Warsaw. In the years 2001-2003, vice-director of the Archives of New Records in Warsaw. In 2002, she completed Théories et Pratiques archivistiques internship in Paris. From June 2007 to October 2013, director of the National Archives of Personal and Payroll Documentation in Milanówek. Since the merger of the NAPPD with the National Archives in Warsaw, vice-director for personal and payroll documentation. In the years 2011-2012, she coordinated the project for the study of Polish political emigration which settled in Norway after the introduction in Poland of the state of war. Together with Opplandsarkivet avdeling Maihaugen in Lillehammer and the KOS Foundation they interviewed Polish emigrants living in Norway. The project financed from the Fund for Cultural Exchange under the Norwegian Financial Mechanism terminated with the publication of the book ‘Polska emigracja polityczna stanu wojennego 1981 do Norwegii’ (Polish political emigration of the 1981 state of war to Norway). A two-day scientific conference entitled ‘Poland and Norway – a history of solidarity’ was also held in Lillehammer. The project as a whole was closed with a conference held in Milanówek. Vice-President of the Board of Archives by the General Director of National Archives in the years 2010-2013. Founder-member of the I.J. Paderewski International Society of Polish Music Lovers, member of the Main Board of the Association of Polish Archivists and member of the Programme Board of the University of the Third Age in Milanówek. Graduate of Warsaw University, former PAP journalist, in the 80s head of the Information Office of NSZZ Solidarność Mazowsze Region. Founder and editor of the information bulletin Poland Business Report in New York in the 90s. Stephen Halloway (World Bank, UNIDO, International Law Institute) called this bulletin (ordered, among others, by the State Department of the U.S.A., the Library of Congress of the U.S.A., the Polish-American Investment Fund) the best Polish publication on the subject. Participant in advisory missions of the International Monetary Fund/World Bank to the countries of Central Asia. Collaborator of the State Department with the U.S.A. Expert of the National Center for State Courts in the USA. English and Russian translator (He interpreted, among others, Lech Wałęsa’s interview given to Barbara Walters in the 20/20 programme of the TV ABC concern.